PDM Group of Institutions is spread over 95 acres of land and is surrounded by beautiful trees and green landscapes. The campus is ideally located in pollution free environment and has the country’s finest atmosphere to live in. PDM Group of Institutions is equipped with sophisticated computer labs with more than 3200 high quality Intel Core i3/i5/i7/Core 2 Duo machines from HP/ Compaq/ IBM. Facilities like printers and scanners are provided in each and every computer lab.All computer labs are air-conditioned and are connected with 24 hr. Internet facility with dedicated 250 mbps 1:1 bandwidth. PDM provides its students with the opportunity to remain connected to the outside world with its unified wireless communication network spread throughout the campus. With over 100 Access Points providing smooth wireless Internet connectivity, the campus is India’s one of the most advanced technical campuses.  PDM Group of Institutions maintains eight well furnished hostels (4 for boys and 4 for girls) with all the modern facilities like water coolers, geysers, television, telephone and air coolers for the students. The Cultural committee, one of the most vibrant of all committees aims to offset the rigors of technical institutes with cultural events held throughout the year. On the formal side are performances by artist of all India fame sponsored by our institute several times a year. The students also organise a number of events to mainfest their talent. The 3 day Techno cultural festival ‘PARADIGM’ offers another splendid platform to interact with the academia and profesisonals.This annual national level festival has succeeded in attracting the best of institutes to share their views with PDM’s. The students are encouraged to participate in various sports. They have made us proud with their achievements. The students are sponsored to various inter college sports/ cultural/ literary activities. Games facilities like Football & Volleyball are being regularly provided. A gymnasium with all modern facilities has been constructed which is equipped with imported machines and comprises of all indoor games such as Table Tennis, Badminton, Billiards (Pool Games) etc. An Air-conditioned cafeteria with modern facilities has been provided where fresh and hygienic eatables are served. There is a Swimming Pool in the Campus which gives swimming facility to the students and staff of the Institutions. A trained Caoch and a life guard provides swimming training to the beginners and specialised training to the aspirants. A gymnasium with covered area of 700 sqft. having all modern facilities has been constructed which is equipped with imported machines and comprises of all indoor games such as Table-Tennis, Badminton, Billiards (Pool Games) etc. 24 hours internet facility for students and staff. 1250 KVA capacity generators for 24 hours power supply to PDM Campus. Mineral water plant of sufficient capacity drinking water through out the campus. Full time security & vigil is maintained by the security department of the institution headed by retired Army Officer of the rank of Major.